Boost order picking, escalate throughput. 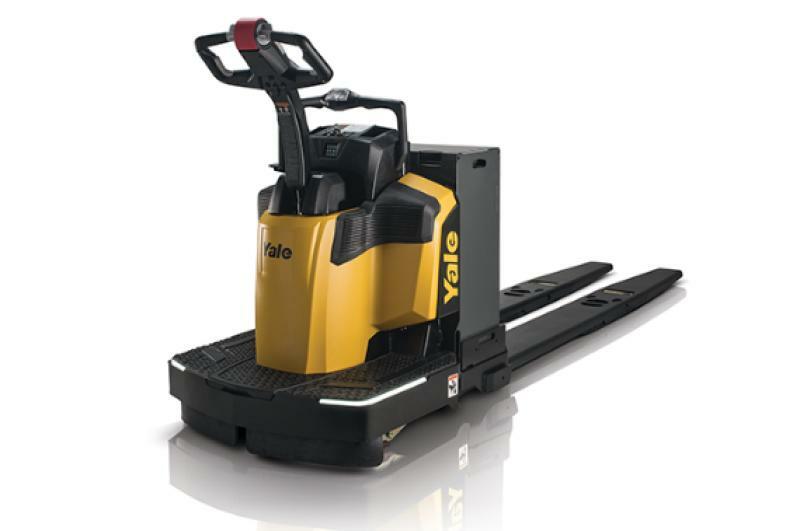 Precision engineered with advanced technology and features, the Yale® MPE060-080VH and MPE060G end riders are what you need to move the throughput needle. Its modern features promote greater picking efficiency and transport speed. Provide increased pedestrian and operator awareness in dark trailers or congested areas. Encased for added protection and durability, the lights can be programmed with different modes / flash patterns to communicate status. Provide in-trailer illumination for trailer unloading applications. Recessed or caged for added protection and durability, the lights help reduce pallet and product damage and increase visibility for operator confidence and productivity. Horn buttons are split in the back of the grab bar so operators can engage without moving their hand from the functional driving position. 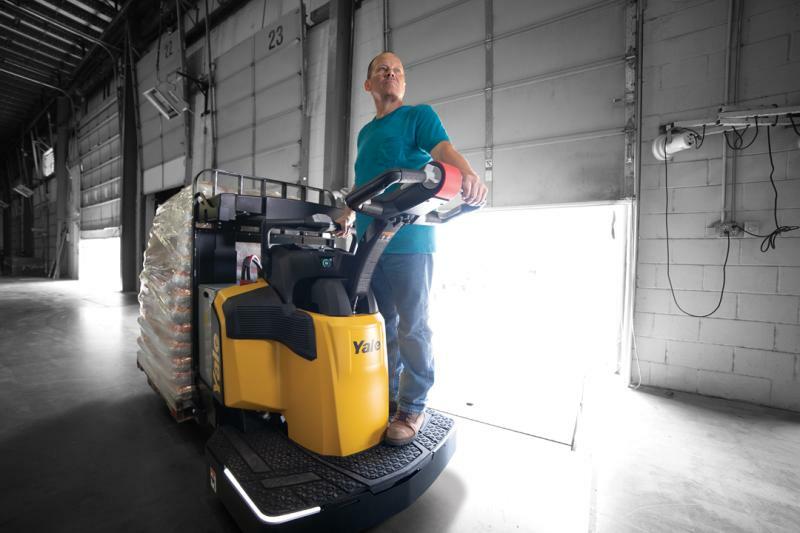 provides 30% more usable foot space than leading competitors to optimize foot placement and promote all-day operator comfort in suitable applications; drain holes align with the platform cushion, pulling moisture down and out of the truck.